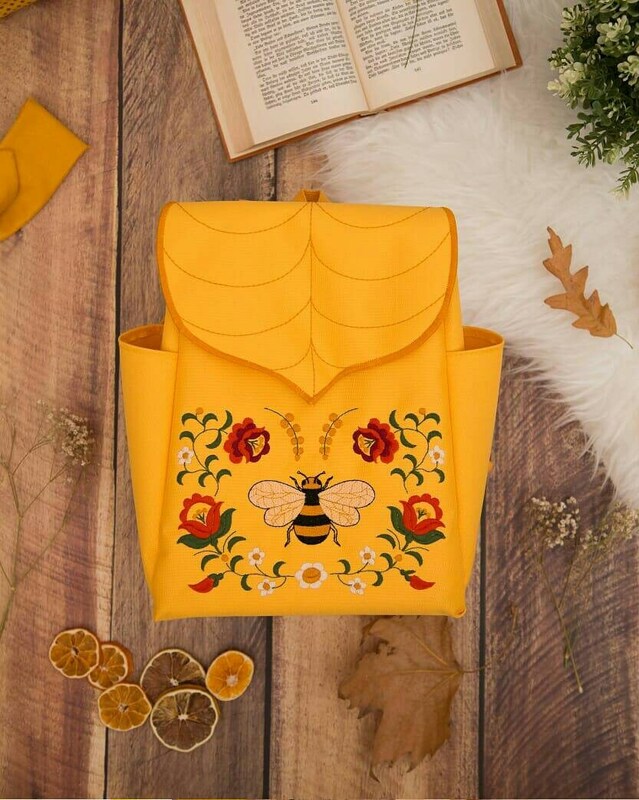 Yellow Leafling Midi Backpack with Bee and Hungarian floral embroidery. As all other Leafling Backpacks this one is made of waterproof fabric, added an extra zipper pocket hidden under the beautiful leaf flap, two extra bottle holder pockets on the side and for good measure the back is padded and the bottom is rigid. Buy any 3 bag and get 20% off the total of your purchase.